"The project is already set," De Warrenne's producer Katrina Grose told AFP, reported The Sun Daily. The project will be lead and directed by Thai-Irish producer-director Tom Waller, who was behind "Mindfulness and Murder" and "The Last Executioner". It is reported that filming will start in November 2018. Tom Waller told Variety that the rescue provides plenty of rich source material like the heroic efforts of local and international divers, the clever use of technology, a race against time, psychological hurdles the boys had to face and much more. Since the 12 Thai boys and their coach were rescued from Tham Luang cave in northern Thailand two months ago, several documentary makers, film producers, and even journalist have been trying to get films and books of this saga off the ground. 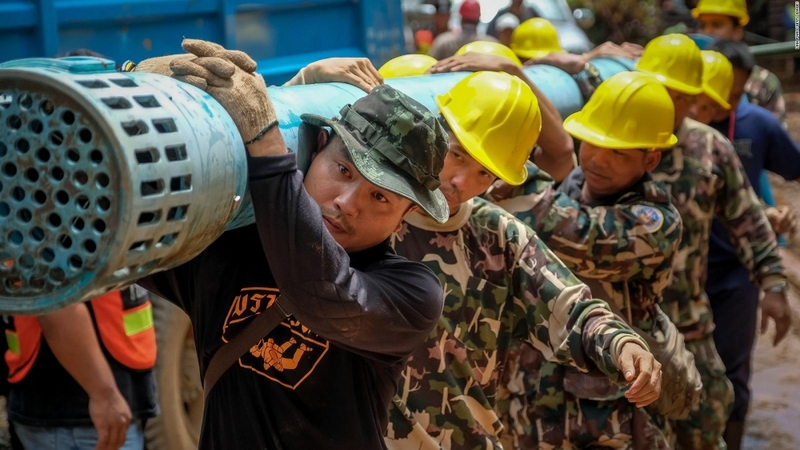 “Five international film production companies have proposed to the commerce and foreign ministries that they'll make a movie and a documentary about the rescue operation,” said Culture Minister Vira Rojpojchanarat, as reported by Variety. Director of 'Crazy Rich Asians' Jon M. Chu has also begun developing his version in order to prevent the whitewashing of the story and characters. The Thai government committee, to be headed by the National Film Board that includes officials from the culture, commerce, tourism and sports ministries, is concerned with the accuracy of the story the films will portray along with the image of Thailand. Another concern would be the film locations. "We are pleased to support both Thai and international film productions to make a movie and documentary on ‘Mu Pa’ [Wild Boars] if they follow Thai laws.” said the Culture Minister. 19 divers assisted in the final rescue operation yesterday. When the group was found on 2 July, the coach was one of the weakest among them. From teenaged activists to the lesser-known forces behind GE14, these people have inspiring stories to be told.